Gorup 194 :: Lebanon Humanitarian Fund Contributes to UNRWA Legal Aid and Child Protection services in Lebanon. Lebanon Humanitarian Fund Contributes to UNRWA Legal Aid and Child Protection services in Lebanon. The Agency’s provision of essential legal aid and child protection services to Palestine refugees in Lebanon continues with support from the Lebanon Humanitarian Fund (LHF) to the United Nations Relief and Works Agency for Palestine Refugees in the Near East (UNRWA). In April 2018, the Lebanon Humanitarian Fund (LHF) provided a grant of US$ 500,000 to address the current severe financial crisis faced by the Agency. 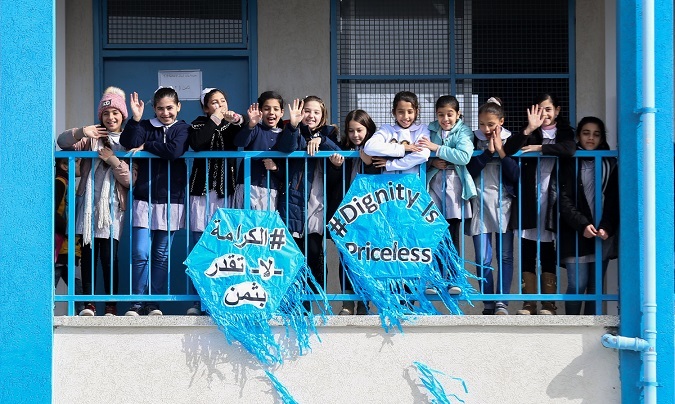 This contribution has enabled UNRWA to continue provision of essential legal aid and child protection services to approximately 19,000 Palestine refugees from Lebanon and Syria. “Preserving the stability of Lebanon means preserving tolerance, diversity and stability in the region”, said UN Resident and Humanitarian Coordinator Philippe Lazzarini at the launch of the Lebanon Crisis Response Plan (LCRP) 2017-2020 in February. “More than ever, international solidarity needs to match the hospitality of Lebanon as host country. No country in the world can – or should – carry alone the challenge that Lebanon is facing. Responsibility-sharing with Lebanon is key”, he said. Launched in April 2018, the programme provides legal aid services including legal advice on visas, legal status, civil registries and access to advocacy. In addition, the grant enables for the provision of legal services to refugees facing gender-based violence or child protection concerns. Some 480 Palestine refugee children will benefit from the child protection services made possible by this contribution. Children at-risk and those experiencing protection concerns will continue to be identified and referred to case management and specialized services. Named the “Sustaining an Improved Protection Environment for Palestine refugee children, caregivers and communities from Syria and Lebanon” the new LHF contribution will fill a critical funding gap.